2014 will be the most expensive and competitive midterm election in our country’s history. Yet, national polling predicts historically low voter turnout. 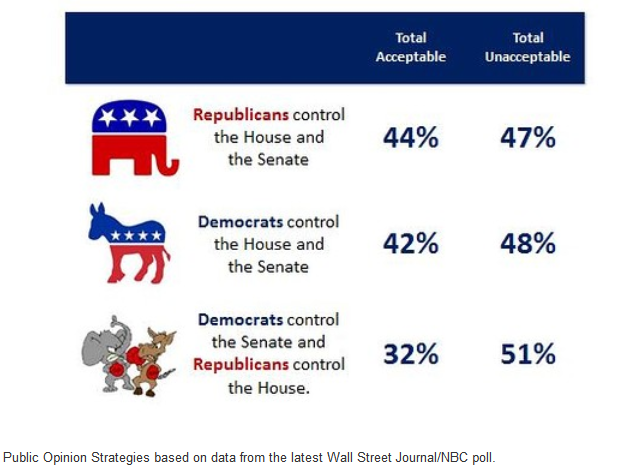 But, the latest data from NBC/WSJ suggests that will not be due to a lack of effort by either party or their candidates. As we officially enter autumn, it is clear that voters’ long tempestuous relationship with their elected officials may be heading for a break-up. This has been the summer of our discontent. Recently, Glen Bolger wrote a blog post about how voters are not in love with any of the potential outcomes of the election. There is no special insight in saying the American electorate is deeply unhappy with our political leadership, the economy, and the direction of the country.